Ada soalan mengenai Opera Plaza Hotel? Ketika melawat Marrakech, anda akan merasa seperti di rumah di Opera Plaza Hotel, yang menawarkan penginapan berkualiti dan perkhidmatan hebat. Hotel ini terletak 3 KM dari pusat bandar dan menyediakan akses kepada kemudahan bandar yang penting. Syurga untuk berehat dan bersantai, hotel ini akan menawarkan pembaharuan penuh hanya beberapa langkah dari pelbagai daya tarikan bandar seperti Pusat Teater Royal, Station Marrakesh, Gueliz. 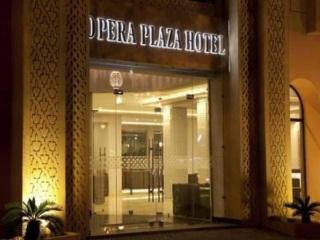 Opera Plaza Hotel juga menawarkan banyak kemudahan untuk memperkayakan penginapan anda di Marrakech. Hotel ini menyediakan akses kepada pelbagai perkhidmatan yang luas, termasuklah khidmat bilik 24 jam, Wi-Fi percuma semua bilik, Wi-Fi di tempat awam, tempat letak kereta, khidmat bilik. Semua bilik tetamu menawarkan pelbagai jenis tahap keselesaan. Banyak bilik turut menyediakan televisyen skrin rata, internet wayarles, internet wayarles (percuma), bilik larangan merokok, penyaman udara untuk memuaskan hati tetamu. Hotel ini menawarkan banyak peluang rekreasi yang unik seperti tab panas, pusat kecergasan, sauna, kolam renang terbuka, spa. Apa juga tujuan lawatan, Opera Plaza Hotel merupakan pilihan yang terbaik bagi penginapan anda di Marrakech. 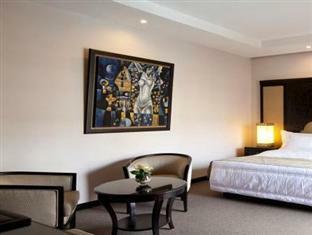 The Opera Plaza is a large modern hotel with comfortable rooms and good facilities for leisure and business travellers. Excellent location close to top restaurants and shopping. The staff is warm and accommodating. The buffet breakfast is excellent with plenty of hot and cold choices. Would definitely stay again. We have stayed there 4 nights. For the really fair and cheap price we payed we are happy with the hotel. The rooms are already a bit older but everything is clean. 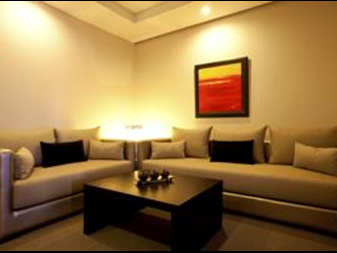 The cleaners are all very friendly to us and also the reception, they made our bookings for some trips we had and also reservations for the restaurants we have been. The bar is small but nice and we had even some live music there. The breakfast was good and in the price included. Only things negative was a not working credit card terminal on check-out so we had to pay cash (happened also in other hotels in morocco). Another thing but no really that bad was the breakfst wasn't really ready on the day we had a trip. Another morning they had some things missing when we came after 9 am. 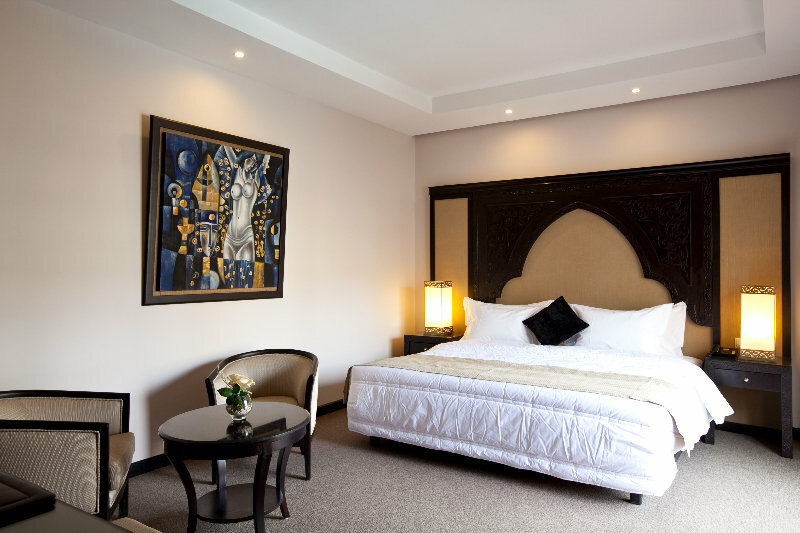 All in all it's a good hotel for a fair price and I really would recommend this hotel to others especially because of the central position in Marrakesh. Hotel seemed okay. Room was decent. Location was decent. Staff was decent. Pool was decent. But I’d say AVOID at all costs because of very loud music noise that you can hear in the bedrooms till 4am. Impossible to sleep. Apparently it’s a new nightclub in the hotel. But your literally not sleeping till 4-5am. When I complained they said the first night they will investigate but second night the porter admitted it was coming from new night club and said we should change floors the following night. But that wasn’t too good as we only stayed 2 nights. Missed breakfast both days. Ruined the whole trip. We wasn’t waking up till midday. So couldn’t make the most out of our short trip. When it came to checkout and the hotel staff are having to confront me about the problem, they all of a sudden don’t speak English and asked me to wait for other staff who do understand English ?!?! Totally ruined our quick break away. Very disappointed. Shame I wasn’t told this in a review before hand. Enjoyed staying at the OP tremendously. Excellent location, and the service is great. You'd think you're in a music video. Hotel is trendy, and so are the people staying in it. Very satisfied. Very enjoyable. However, breakfast can be chaotic. The food is served at one end of the room but the food and dishes require to be brought from the other end of the room. The layout is inefficient. Often the staff and the trolleys cause congestion in the aisle. Also, the cups are in a corner and one person taking coffee cause a hold up for others who want to make tea. Very often the hot water is not hot but the staff are very keen to bring hot water if required. It looked as though cold water is poured into the urn to top it up and sometimes only one small flame to keep the urn hot (well warm really). That said, I have stayed there 6 times. It is just a matter of seeing breakfast as part of the character. The trip was good, either with the stay. But the hotel AC didnt work so good, we still felt hot inside the room (outside temperature was 40') eventhough we have left the AC turned on while we went outside whole day. Less than one minute from trains to rooms - good international standard. The Opera Plaza was an incredibly convenient location directly facing the excellent new Marrakech station. 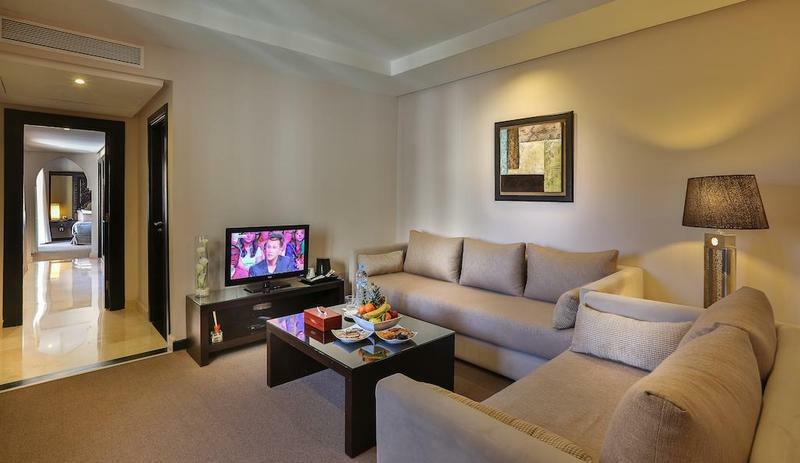 For less than the four star hotels nearby, the Opera Plaza was a lean, renovated, convenient design where rooms surround a beautiful pool - welcome in the 40 degree plus summer heat. 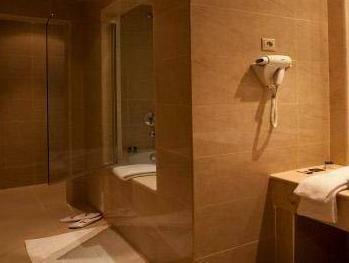 Good beds, great bathroom, decent breakfast - all in all a welcome welcome to a great city. ett internationellt hotell. tar ca 10 min per taxi till djema el fna. ligger mitt emot kungliga teatern längs muhammed den 6 paradgata alldeles intill tågstationen som inhyser trevliga restauranger och enkla internationella sådana. wifi fungerar och personalen är bra. poolen var ganska kall i november men sköna poolmöbler och träningslokal finns i närheten med några löpband, cykel etc. Die Lage des Hotels ist recht gut, direkt am Bahnhof von Marrakech. Das Personal ist so lala. Wir hatten das Gefühl, als wäre das Personal nur nett, solange man eingecheckt ist. Vorher und nachher überhaupt nicht. Das Frühstück war für ein 4-Sterne-Hotel nichts Besonderes. Die Sicht in den Hof hinein war nicht gut, da man in jedes andere Zimmer reinschauen konnte. Alles in einem: okay. Für ein Hotel solcher Klasse erwarte ich mehr. Schöner Pool (Badetücher gegen Pfand :-( ). Nettes Personal, gutes Frühstück. Voordeel: netjes en mooi hotel, personeel was top en de locatie was perfect. Mooie zwembad en het ontbijt was ook heel goed. Al met al was het een top verblijf en zeker voor herhaling vatbaar. Enig minpunt is dat er in de bowlingcentrum heel veel gerookt werd en stonk naar sigaretten, niet fijn voor de niet-rokers.